Carnival Cruise Line is currently running a 48-hour sale on short cruises and cruisers can receive $50 onboard credit. This is a promotion worth taking advantage of along with other Carnival deals currently being offered for a limited time. As of writing this, there are less than 36 hours remaining on the 2-day sale which is offering cruisers $50 onboard credit. The sale applies for 2-5 day sailings through December 2019. Cruises also start from as low as $215 per person which is a great opportunity to book a quick getaway. In another limited time sale, Carnival is bringing the price down depending on how many guests. With three or more guests the room price will lower. 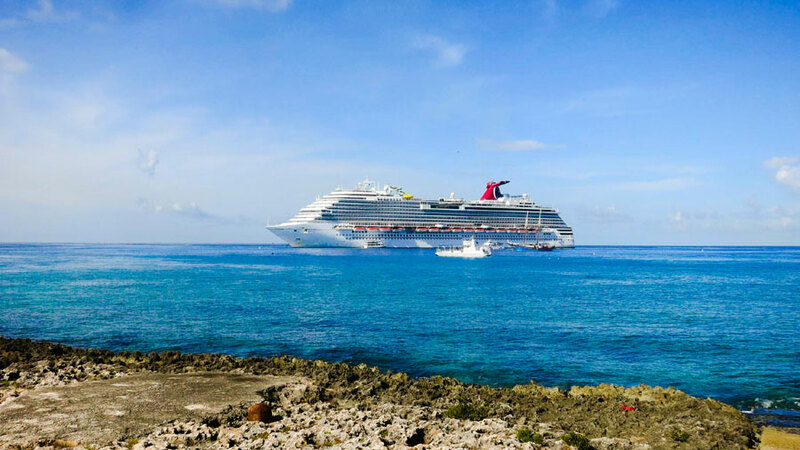 Just like the Early Saver Sale cruises are starting from as low as $215. The sale will run until Thursday, October 11, 2018, and only on select cruises through December 2018.
Who doesn’t like free room upgrades! As part of the Cruise Line International Association (CLIA), #ChooseCruise campaign Carnival is offering free room upgrades until the end of the month. This applies to all sailings, not just select ones so it does make the sale better than usual. We’ve already posted about the offerings on the CLIA sale right here. Not just Carnival but other cruise lines are also offering special as part of #ChooseCruise which runs all through October. Norwegian Cruise Line has an impressive promotion which offers free airfare on select sailings and MSC Cruises has a great deal for their U.S. based ship MSC Seaside.